First trad deer with help from TradGang! My buddy here at the office (Pullonmylimb) hunted for the very first time last year. He's been a trad shooter for a few years now. He got his first deer ever, let alone with trad gear,last year. Back in july he posted for me to find a lefty bow. Well thanks to the people here at tradgang, I purchased a 45# grizzly to get me started. we built heritage 150 shaft arrows with 100 grain 2-blade broad heads. took this buck opening day at 16 yards...followed up with a doe at the 11th hour on last day. great first trad deer and thanks to my biddy and the trad gang crew! Re: First trad deer with help from TradGang! Congrats on such a good start to your trad hunting. Keep working on the pics. WOW! 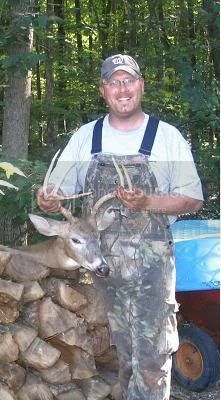 What a great buck, congratulations! 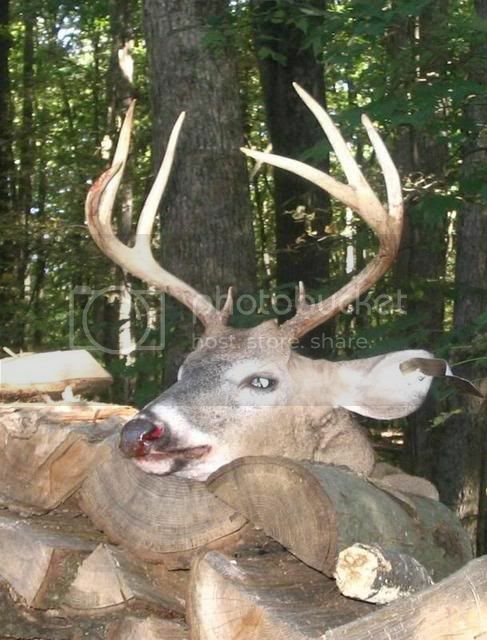 Now ya'll have to help me get my first trad deer. Building Bows Is Only Half The Fun, The Other Half Is Passing That Knowledge On!